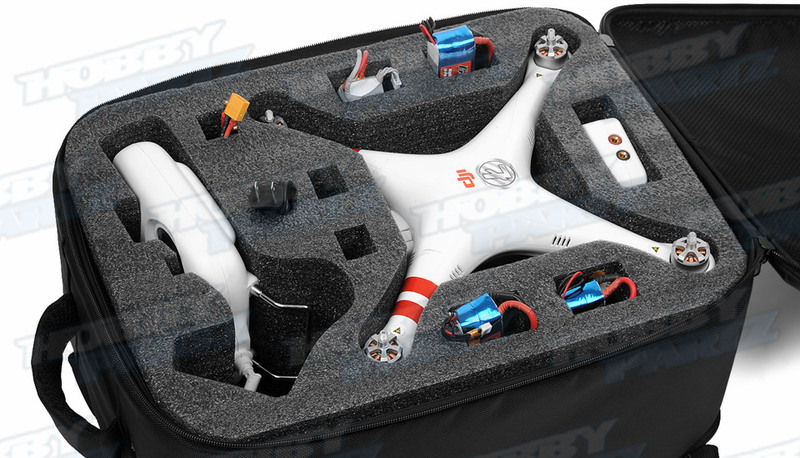 Tired of lugging around your quadcopter with all its accessories? 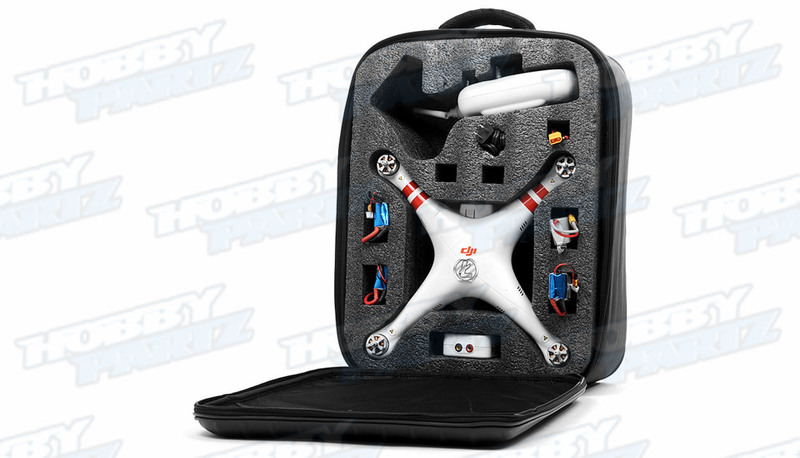 The HobbyPartz Phantom Pack provides enough room for a Phantom Quadcopter with gimbal and flight supplies. 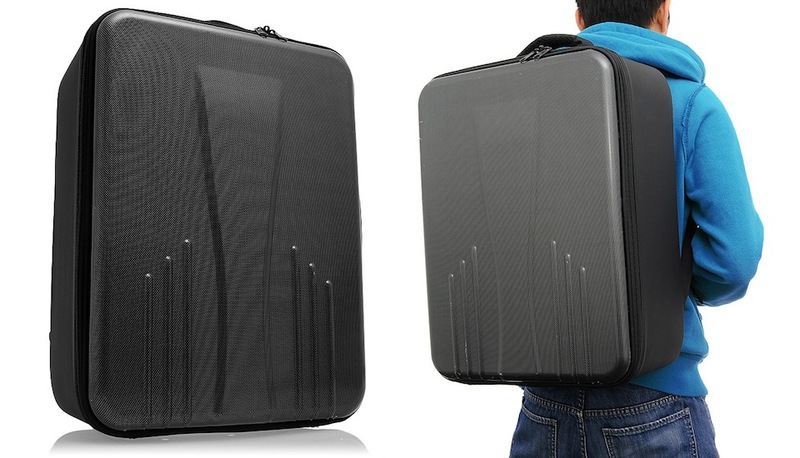 The Phantom pack features a custom-fitted foam interior added to the main compartment. The outer shell is constructed of durable hard shell to protect its contents from impacts and hard hits. 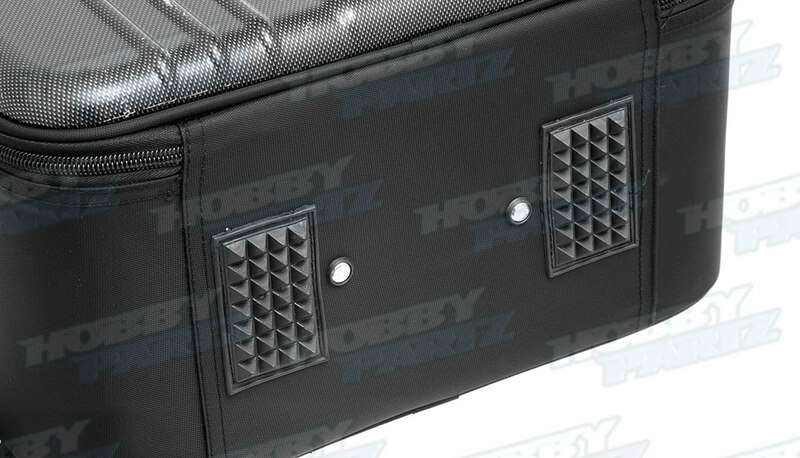 The main compartment also consists of cut outs for rotor blades, batteries, transmitter, etc. 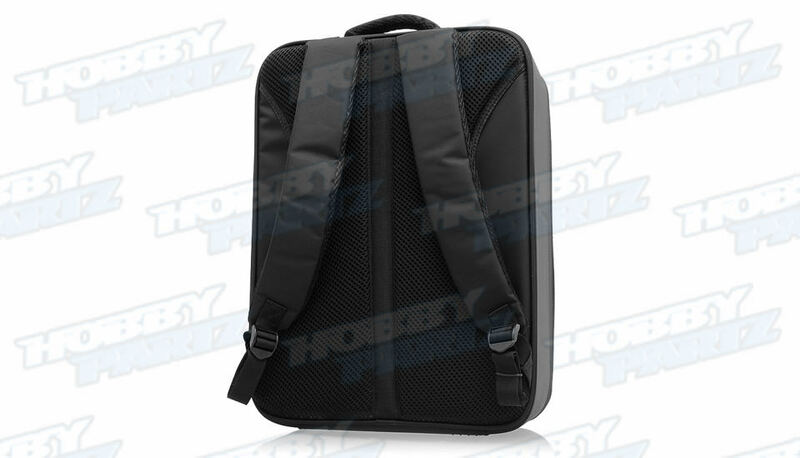 A secondary compartments is provided to accommodate such things you might need as a manual or even an tablet. 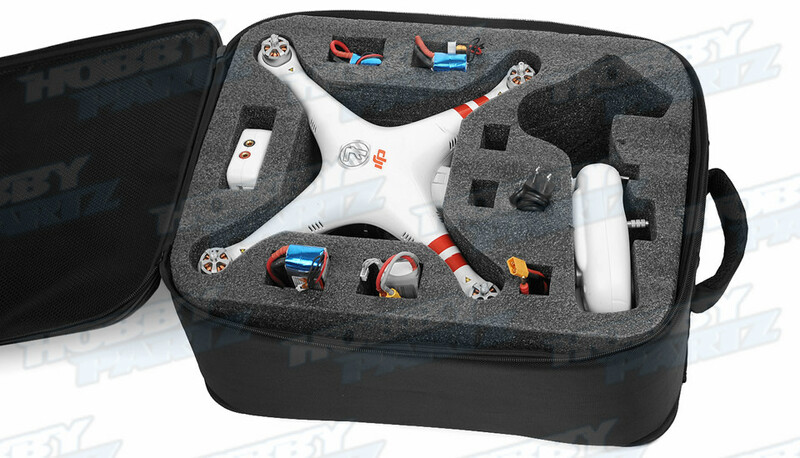 Note: Designed for the Phantom only; other models such as the Phantom 2 Vision and Phantom 2 Vision+ may require foam modification. 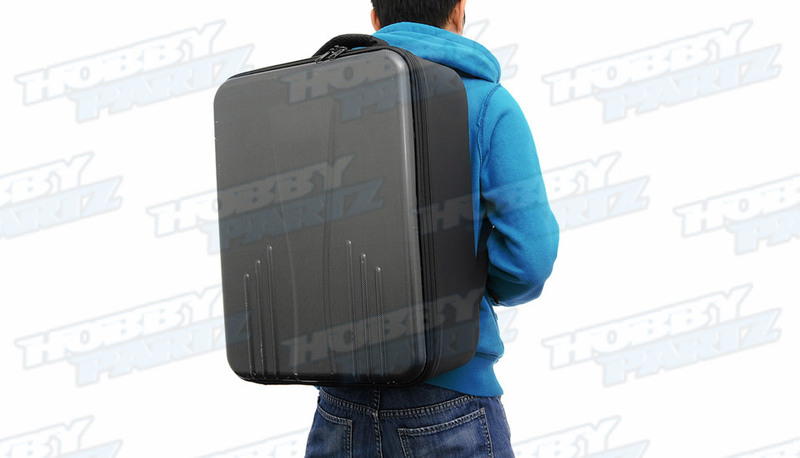 Please note: Only the backpack case is available for sale, and none of the parts or the phantom is included.